Black Dog of Blue Ridge is named for the owners’ loyal pet, who loves coming to Blue Ridge to relax on the deck and roam in his fenced yard. 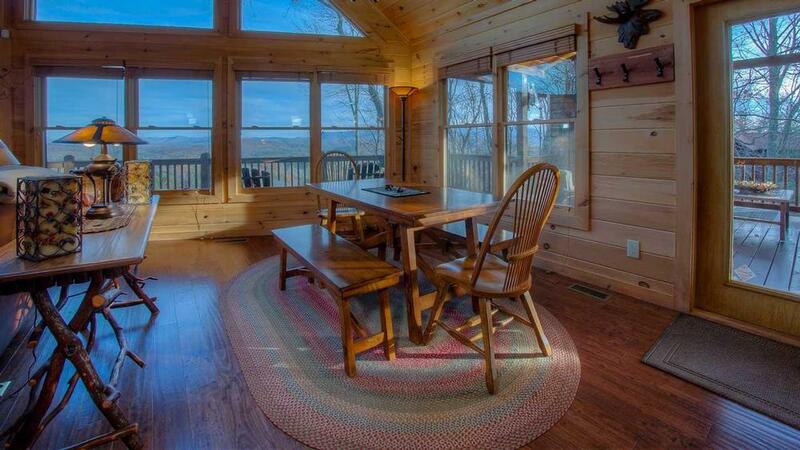 This peaceful retreat is great for a family, few couples, or a girls/guys weekend. Bring your own furry friend as well! This prow front home offers a rustic yet elegant setting with contemporary, premier furnishings, almost all purchased locally from Blue Ridge stores. Here, gazing out at spectacular views, you’ll feel at peace and at home while the real world disappears and your cares fade away. Start each morning with the sun rising over a view that even the locals call "amazing." Have breakfast in the gorgeous dine-in kitchen as dazzling colors outside your window transform into a clear blue sky. In pursuit of adventure? Take your loyal pooch for a hike through the mountainside, then head out to the river for whitewater rafting or tubing. Head over to the stables for a lovely horseback ride through the hills, then hit some balls on one the area’s pristine golf courses. Wind up the afternoon with a visit to nearby apple orchards for some beautiful fresh fruit. 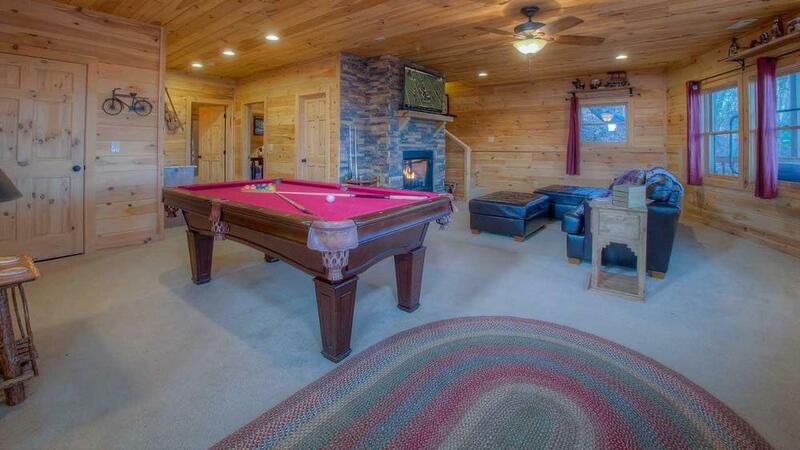 Kids of all ages will love hanging out downstairs, spending a rainy afternoon playing pool or board games. Fix a drink at the wet bar and grab a snack from the mini-refrigerator, then relax watching a movie snuggled up on the couch in front of the fireplace…Even the twin bedroom is downstairs for the ultimate weekend getaway. When stomachs start growling, grill some steaks out on the deck for an easy, carefree dinner. 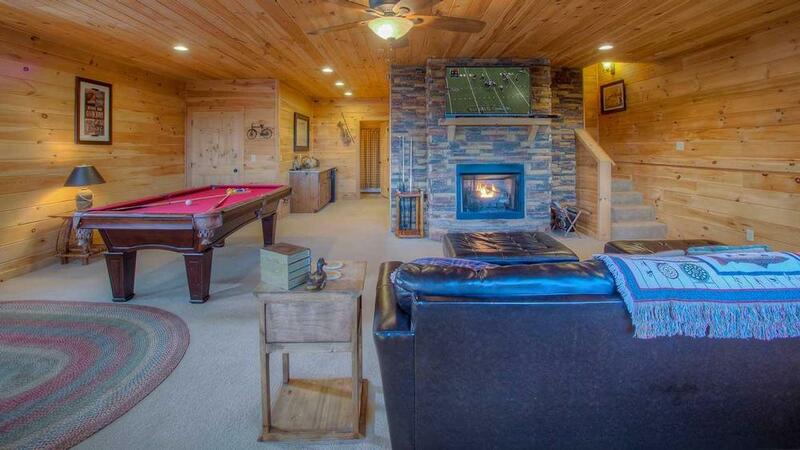 Then take in a glorious sunset as you lounge on a sofa by the outdoor stone fireplace. 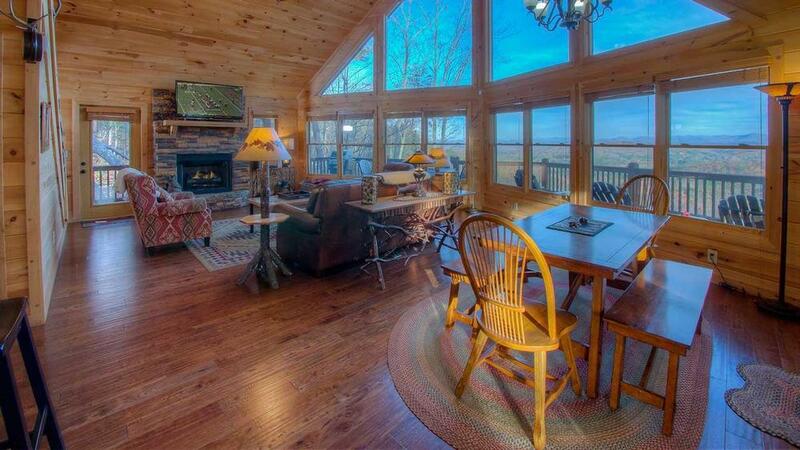 Or, perhaps go for a twilight walk on Black Dog’s two sprawling acres of land. 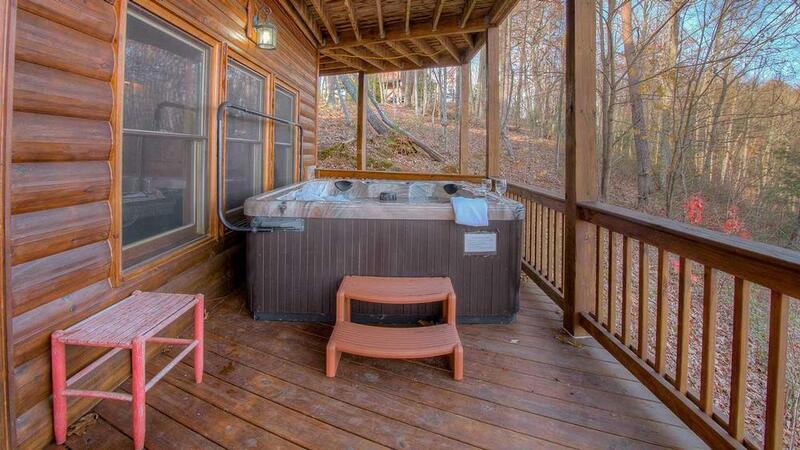 After a fun-filled day, enjoy a soothing soak in the hot tub by the light of the moon. 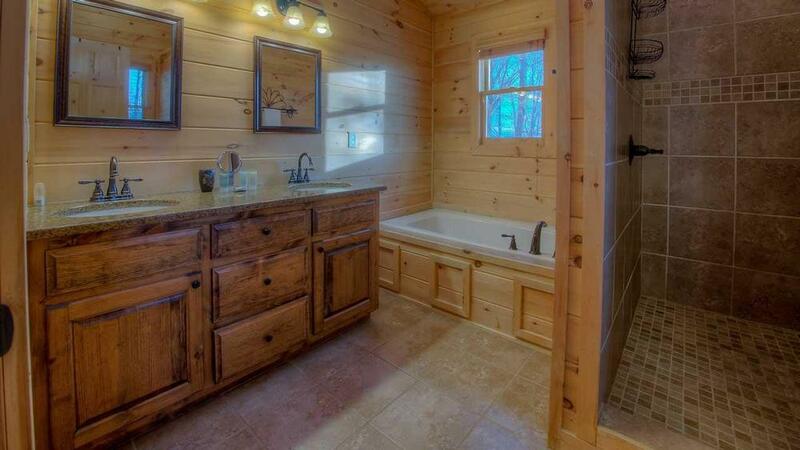 Rinse off in the master bath’s walk-in shower or whirlpool tub before crawling in to bed for a wonderful night’s sleep. 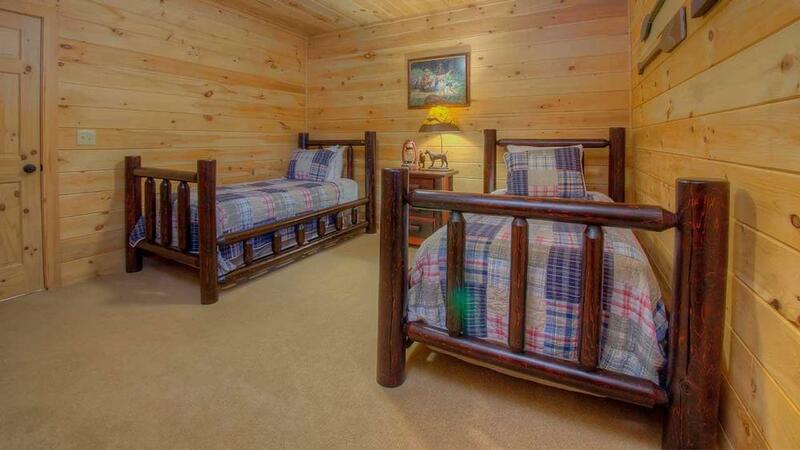 Spend a leisurely morning in bed before starting another great day of mountain activities! 03/19 - Loved the dog friendly aspect, views, and the fenced yard. Very comfortable home. 02/19 - Great set up for dogs. 01/19 - Great view. 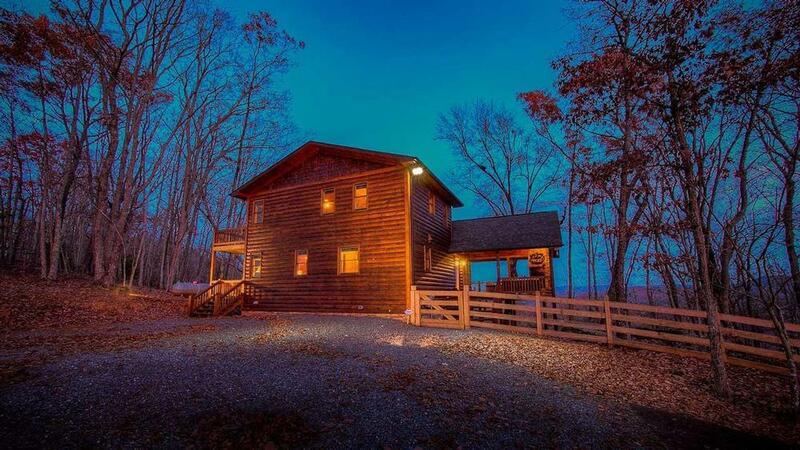 Overall I like Escape to Blue Ridge and would recommend it. 01/19 - I loved that the cabin was dog friendly and had a fenced area. The cabin also had everything we needed and was very clean. Very pleasant experience. 12/18 - Great views, great location, clean and well equipped. Professional and easy to work with. 11/18 - We loved the outside seating areas, the fenced-in yard and deck for the dogs, the location, the large parking area and the view. All interactions with your company and staff were great! 11/18 - Beautiful and very well appointed. 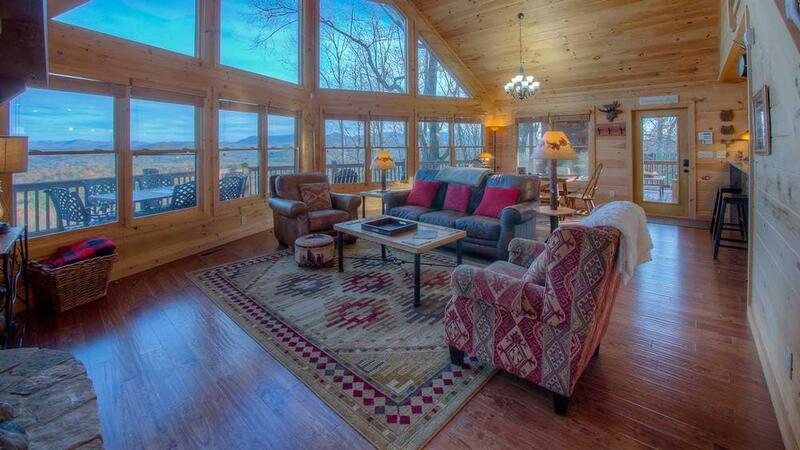 We brought our dog and the cabin is especially pet friendly which was wonderful! Awesome! We have used you for every vacation trip we've taken and have never been disappointed. Staff is helpful, friendly and courteous. 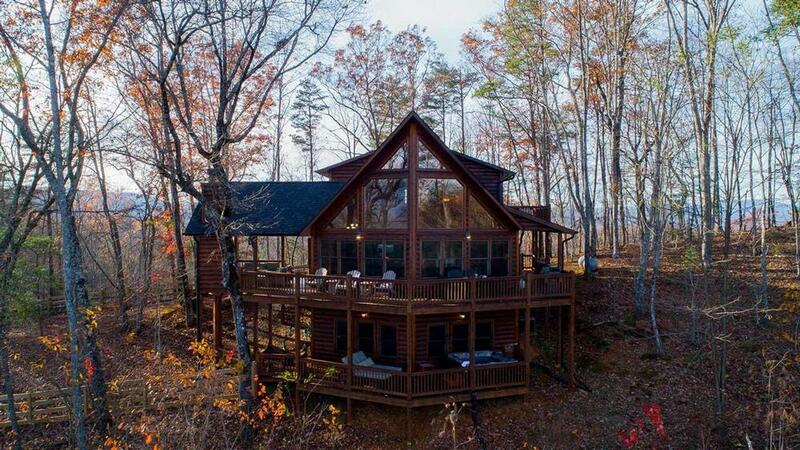 We know we are in good hands when renting a cabin through your company. 10/18 - The home is very clean and well kept, and that is appreciated. Good views, comfortable beds, well appointed. Professional and efficient staff. They even sent a maintenance man to give our car a jump start when the battery got low. 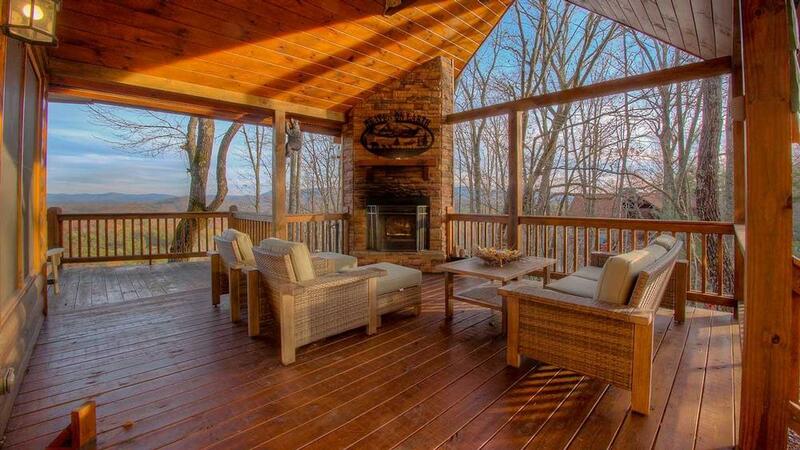 10/18 - We loved the outdoor living room with fireplace and mountain views. Could have stayed there all week. 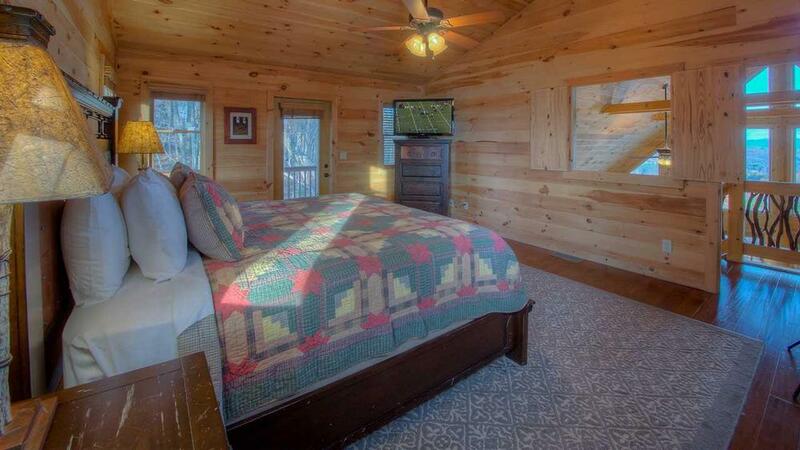 At night it was great to have the big screen tv's, and wifi. The beds were very comfortable.Very impressed. Problems resolved quickly. 09/18 - The staff was very helpful on two occasions. We couldn't have asked for more in that regard. 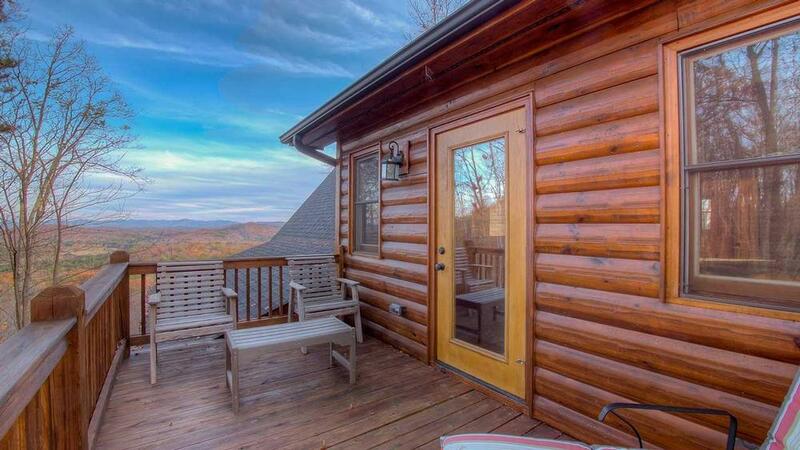 Love Escape to Blue Ridge. Very professional and helpful when needed. 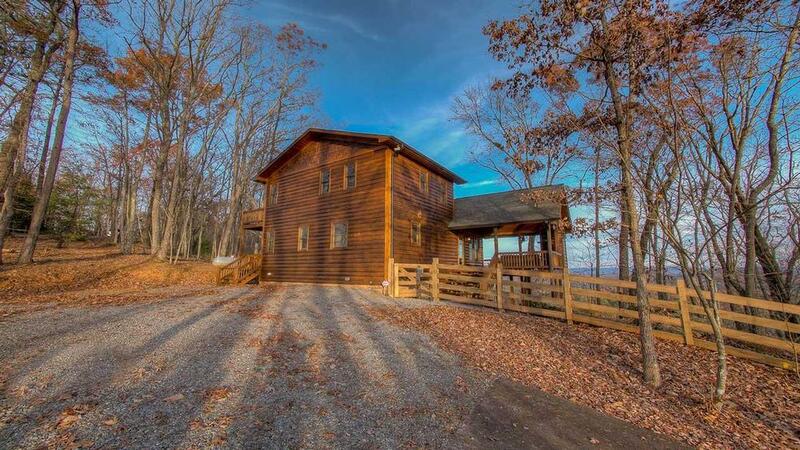 We will be listing our future cabin through your company. 09/18 - The view was amazing! Excellent service from beginning to end. 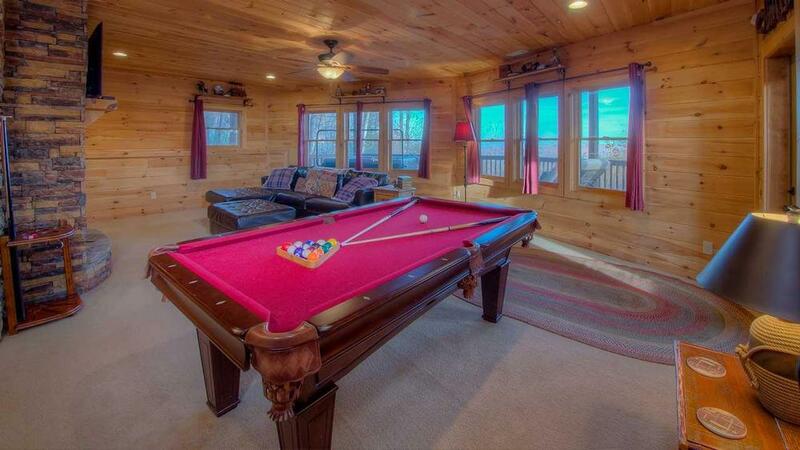 08/18 - Loved the game room, large deck, and fenced in yard! Couldn’t have been better! 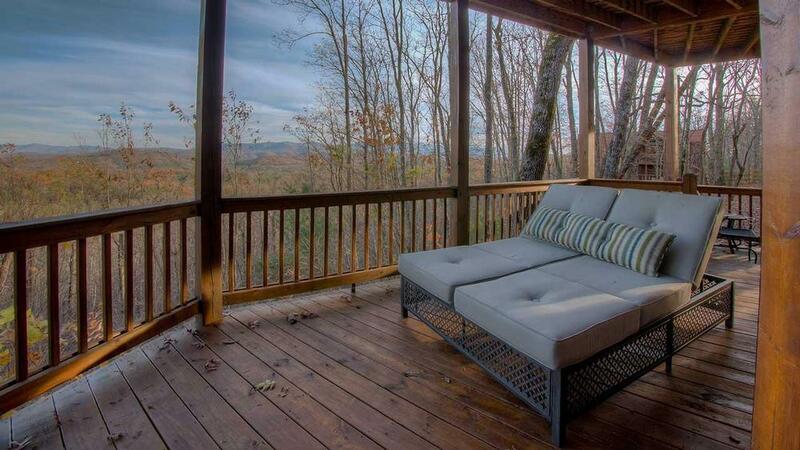 08/18 - Great view, covered porch, water filtration system, beautifully designed home. Very organized, easy to work with. Added another day while we were there without any issues. 07/18 - Such a beautiful home! The views were the best. There were 3 generations vacationing together. It was lovely that the 3 bedrooms were on different levels. I particularly enjoyed the side porch. Very, very nice people. Excellent customer service. 06/18 - The view was breathtaking. We also enjoyed the fireplace on the deck. The home was far enough away from its neighbors to give some nice privacy. 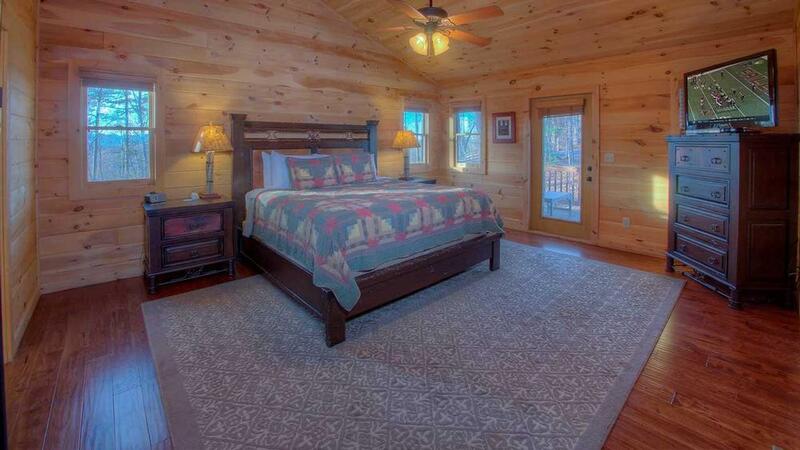 It was also very clean, the beds comfortable, the linens and towels very nice. The staff are very friendly, accommodating, and professional. 05/18 - Loved the Windows and the view. We rent from Escape to Blue Ridge at least 4 times a year and have ALWAYS been happy with the staff, responsiveness and reservation process. 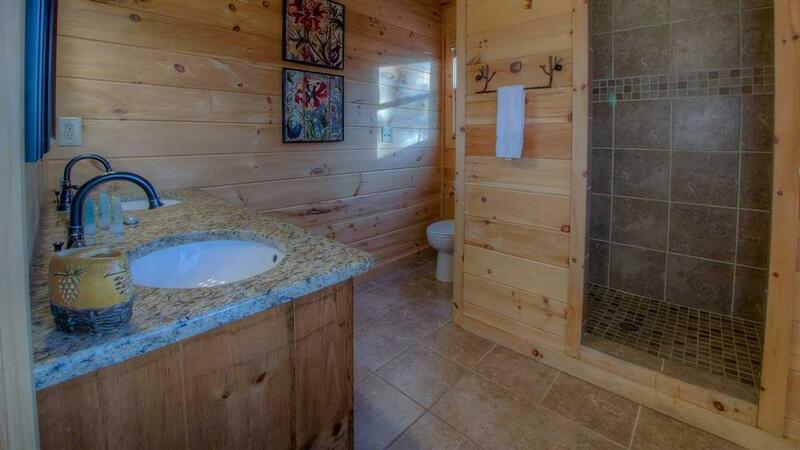 05/18 - Very nicely decorated..master bathroom was great..And the view was amazing! The company seems very professional and we can't wait to go back! 4/18 - Everything was perfect! 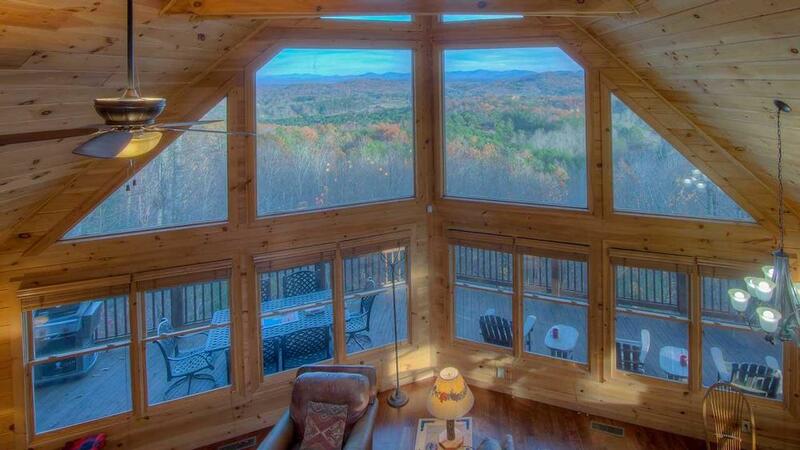 Beautiful home and gorgeous views! From my first call to my last, Jenny was very sweet and helpful! 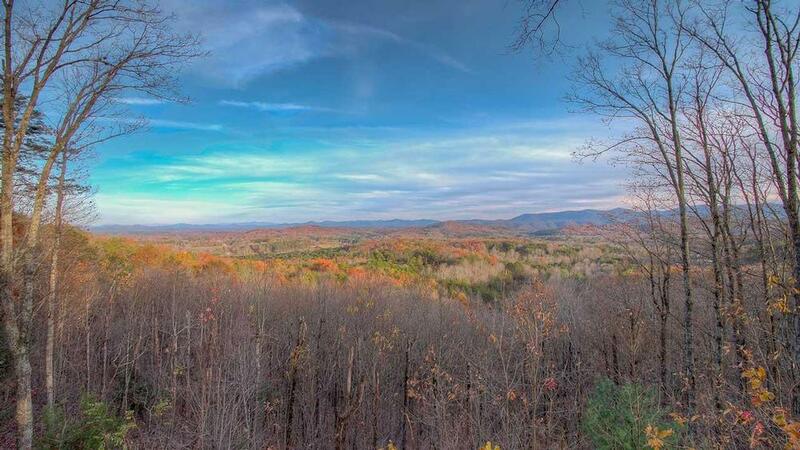 2/18 - The view was by far the best we’ve ever witnessed out of all the cabins we’ve stayed at in Blue Ridge. 11/16- Loved the sunrise views and the views throughout the day, the pool table, the outdoor fireplace and the privacy and seclusion. 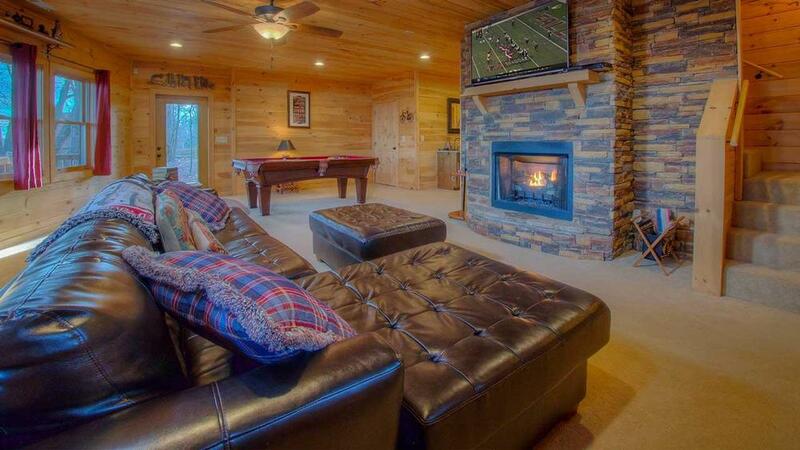 This was a great house, if felt homey and we were able to relax and enjoy it! This was our second time using your company and we are ready to book again with you for next year. The variety and quality of homes offered are excellent and the ease of booking to checking out is great. 11/16-Great company to deal with. Always very helpful and informative. 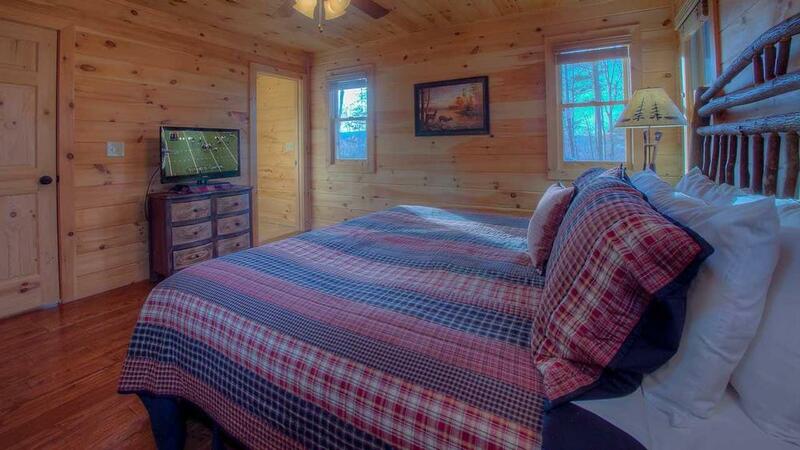 10/16- The cabin was very nice and comfortable. 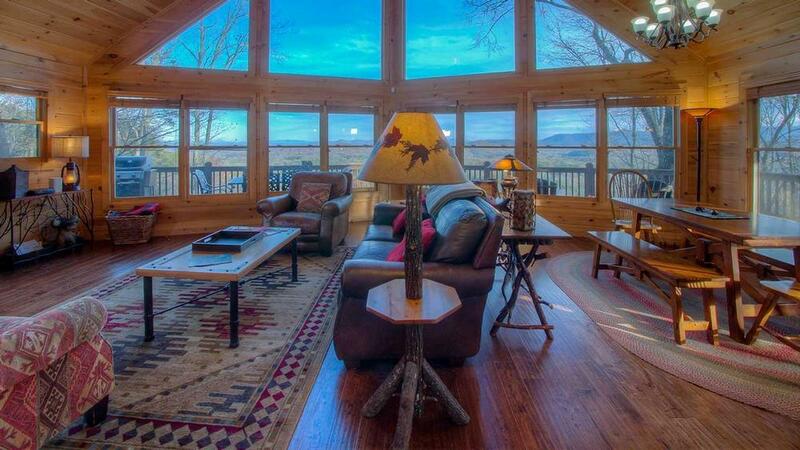 The view is amazing and the feel of the cabin is like being at home. Very easy and minimal stress to book our short stay. Had a great time and would come back anytime I could. 06/16-Loved the view, clean, and well maintained. 06/16- The view was amazing. I loved that we could bring our dog. The layout was great. We had a wonderful time. The lady I spoke with on the phone was very friendly. I liked the ease of checking in. I appreciated the welcome cooler and treats.Thank you! 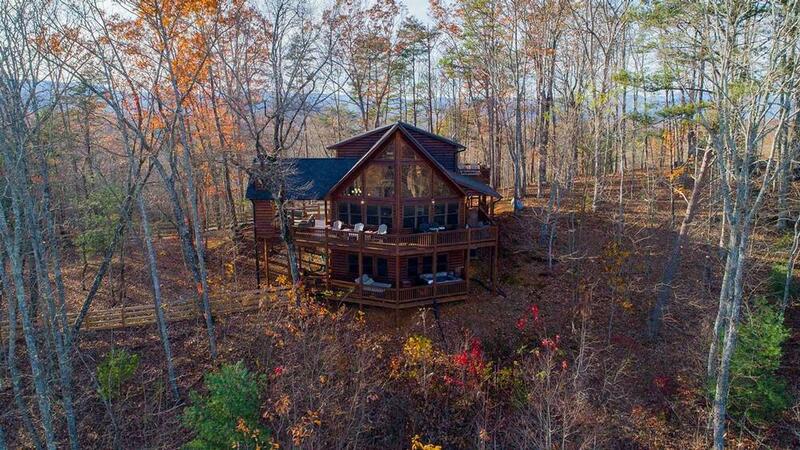 03/16- Absolutely beautiful home! 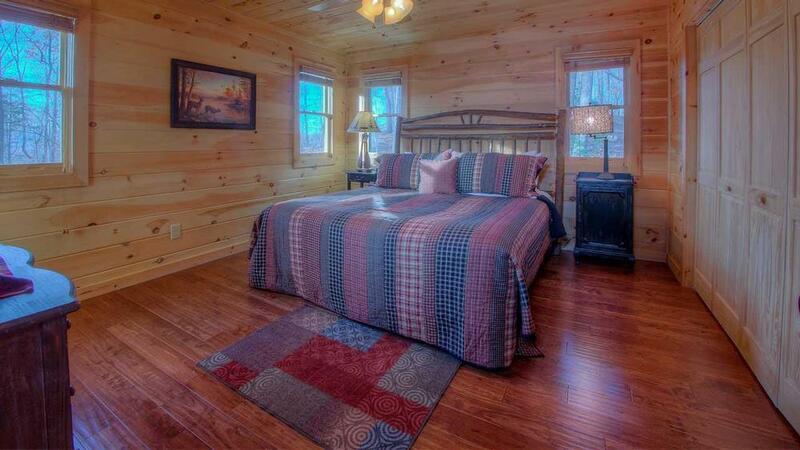 So comfortable and great amenities! 03/16- All glass windows. Seeing the sunrise every morning were our favorite features.. The company was efficient, organized and friendly. 02/16- comfortable open floor plan and the lack of clutter but needed nothing. Every property we have rented from EBR has been very nice. 01/16- Very comfortable, very well equipped. 11/15- Our favorite feature was the outdoor fireplace....pet friendly -was a perfect holiday! 11/15- View and the house had everything. It was so much fun driving to the top of mountain to the cabin. 10/15- Well stocked. Out door fireplace. Both bedrooms had there own bath and a common one on the main and downstairs. We have always been please with the service, politeness, and willing to help with any matters. 10/15- The house was great! The layout worked well for our family of four. 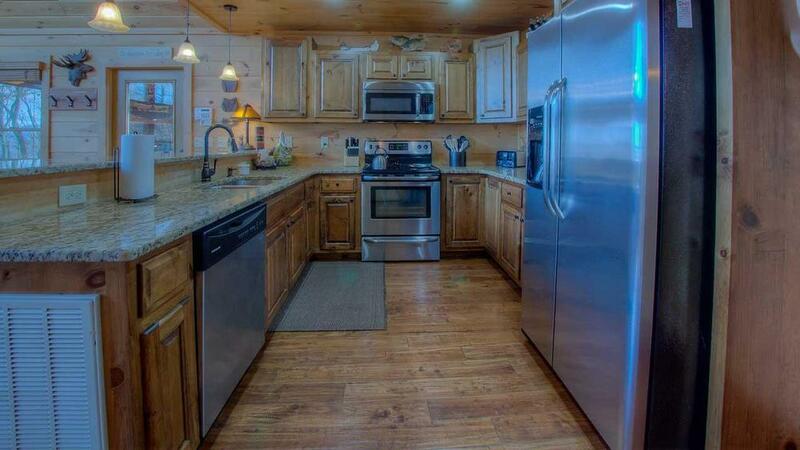 We also appreciated the stocked kitchen and bathrooms. The house was clean, welcoming and very relaxing. Thank you! This was our first time using EBR and won't be our last. Such a seamless experience for a quality stay. 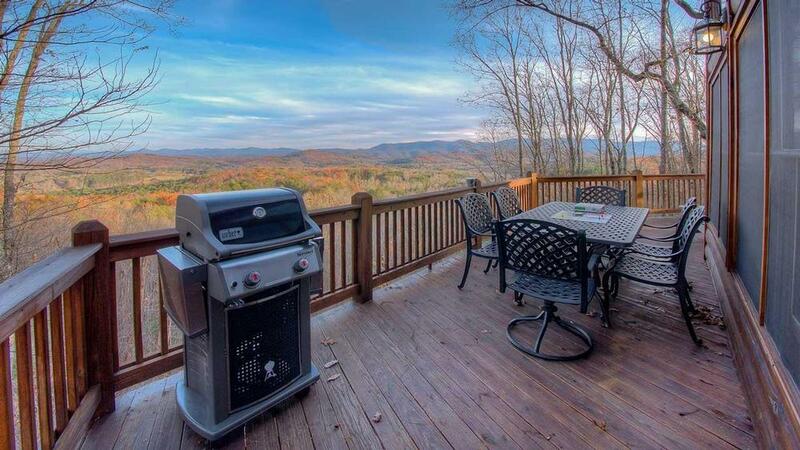 09/15- Nice layout,furnishings, kitchen equipped, view, fireplace on porch,. Very professional company. 08/15- The cabin was great. It was spacious, clean and very accommodating. The view was excellent and we enjoyed the grill nightly. The staff and directions and the entire process was simple and efficient. Thanks! 08/15- Mountain views were fabulous. Great customer services with friendly and helpful staff. 08/15- Outdoor fireplace, and new Weber Grill were awesome. When we arrived on Sunday, we noticed there was only going to be enough firewood for one night. We called Lisa, and she arranged for more wood to be delivered on Monday. This was our second stay with your company (at Blackdog), and will use you again next year. We have sent our son and several friends your way, and they have been happy too. 07/15- The home was beautiful and absolutely very clean! It was a the perfect size for my family and we truly enjoyed our stay! Already wanting to go back! 04/15- The layout of the cabin was great and very comfortable for the 4 of us. 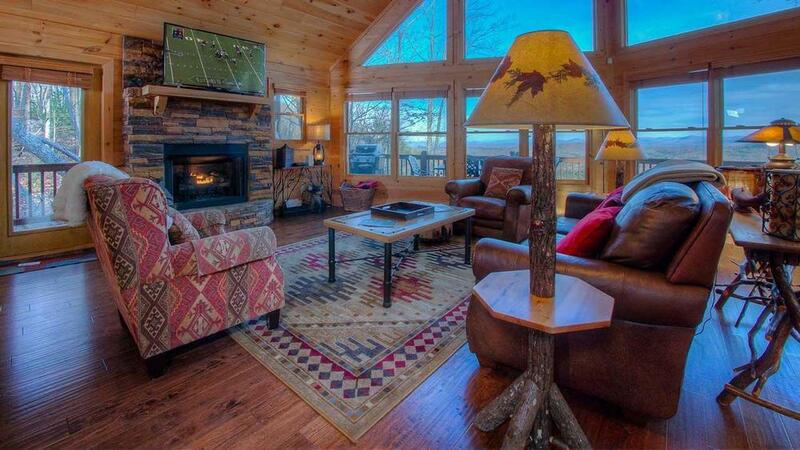 The view waS amazing and the outdoor fireplace ensured us that we will come back to black dog cabin! The kitchen had all the items we needed and it made it very easy to cook a few meals. 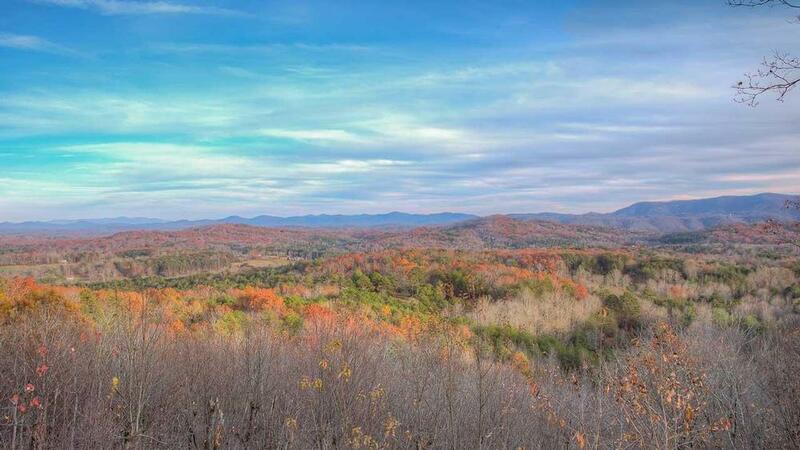 Overall dealing with Escape to Blue Ridge was positive, and I would not think twice about doing it again. 03/15- View and outdoor fireplace were great!!! 02/15- Loved the view, very roomy and very comfortable. We had a fantastic time. Except for the snow storm that came thru Friday night and caused us to stay in a hotel overnight, everything was good. 02/15- Beautiful view, nice finishes! Love renting with you guys, you make the process so easy and we haven't picked a cabin yet that we weren't very happy with! 02/15- The view is awesome! The home was beautifully and comfortably furnished, wonderful amenities (little things like the rug for dog bowls, ring holder in the bathroom, throw blankets). 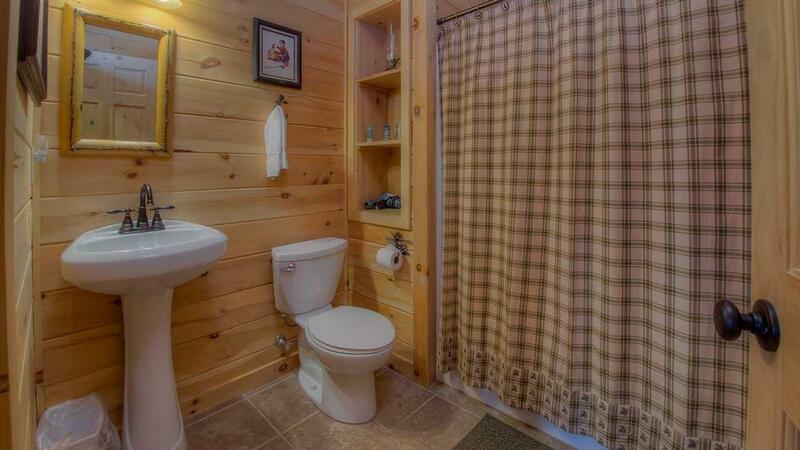 01/15- the cleanliness and simplicity of the decor are the favorites. 01/15- Spacious and very well appointed. Peaceful beautiful views and ample parking.sunrise is beautiful. 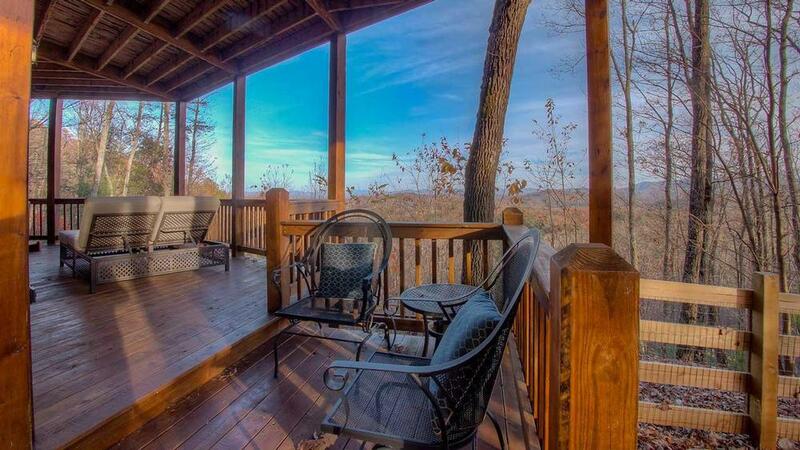 01/15- Location, views, floor plan, amenities were all favorites. 12/14- The view was fabulous from Black Dog! 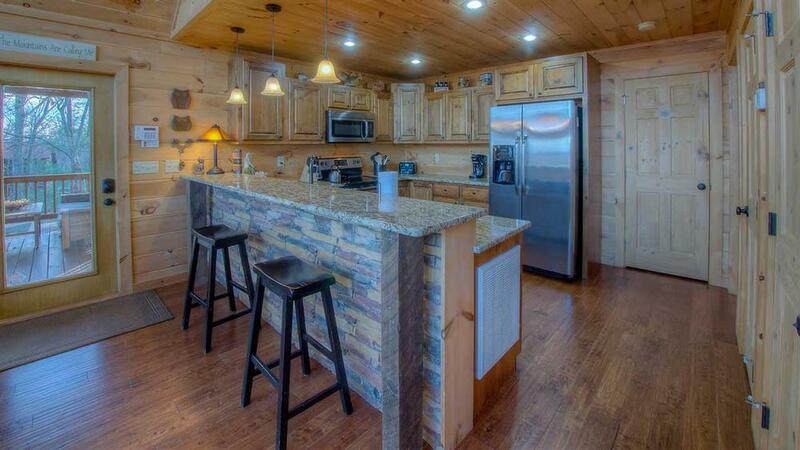 The cabin was beautiful, the kitchen was well stocked and we enjoyed the out door fire place. We truly enjoyed our stay and glad to have our dogs enjoy the mountains as well. 11/14- the view, all accomodations, kitchen was great, master shower was great too. 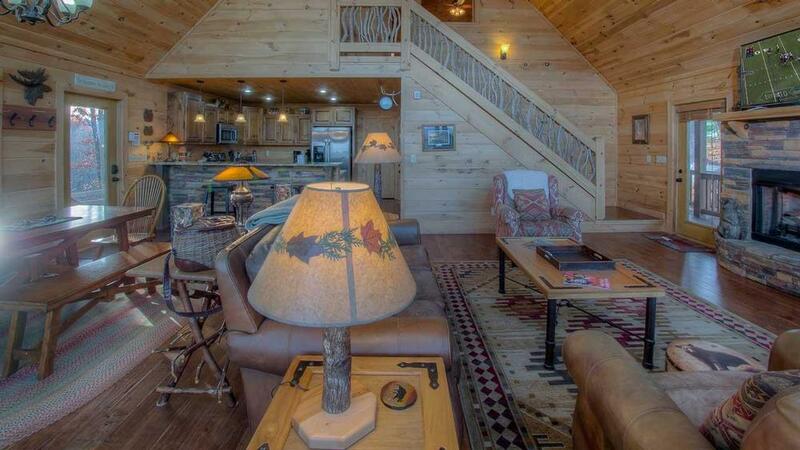 Each cabin we have stayed at in your outfit gets better! 09/14- The View, the hot tub, the relaxed feeling of the home were our favorites. It was a great few days. 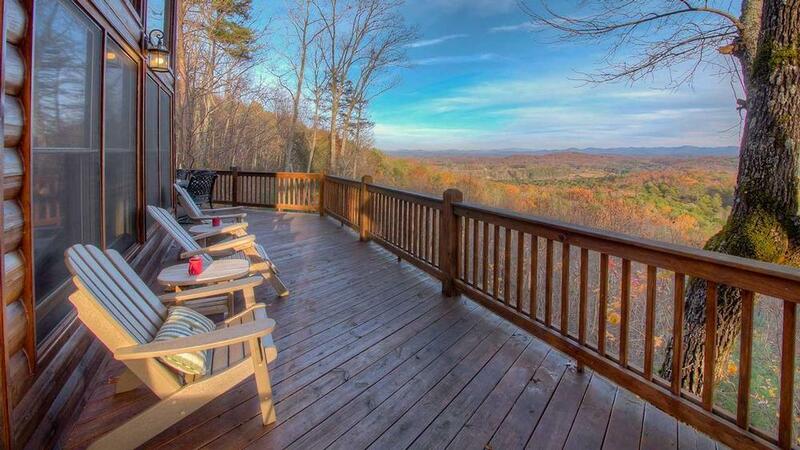 09/14- Sitting on the back deck looking at the amazing view were our favorite features of Black Dog of Blue Ridge. Escape to Blue Ridge was an incredible company to deal with. The little treat bag of goodies was a nice touch. I can't wait to return. 08/14- The outdoor fireplace, the view, and the well stocked kitchen tools were awesome. We really enjoyed Black Dog of BR cabin. 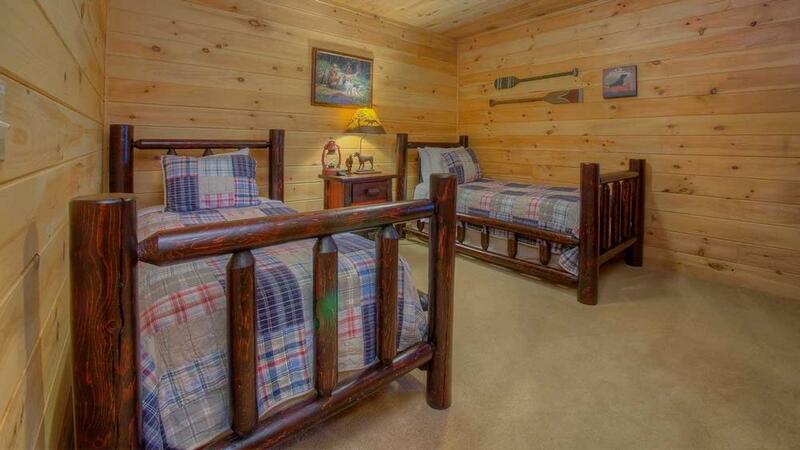 It was very well maintained and comfortable. The kitchen utensils and equipment were the best we've had in all our years of renting cabins and it felt like home.rnOur only suggestions would be to; add a dining table outside, provide more seating especially on the master bedroom deck, screen in a portion of the deck area. This would enable us to enjoy the outdoors a bit more since eating outside is wonderful and the biting bugs were pretty bad this year. 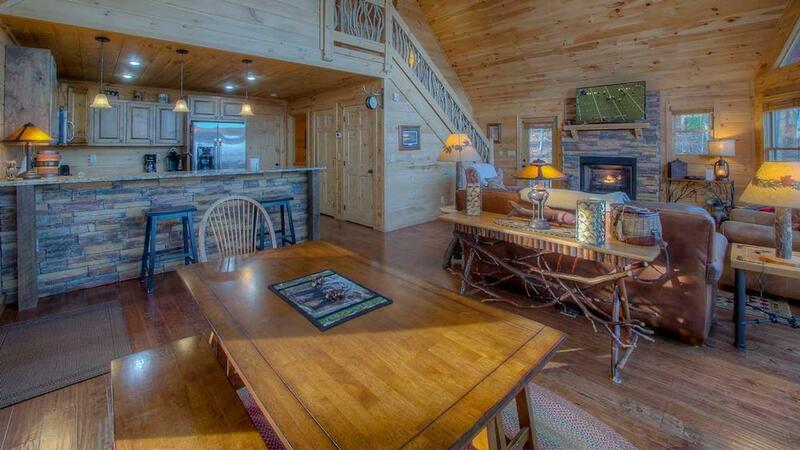 You guys always do a great job with the rental process and the cabins are outstanding.